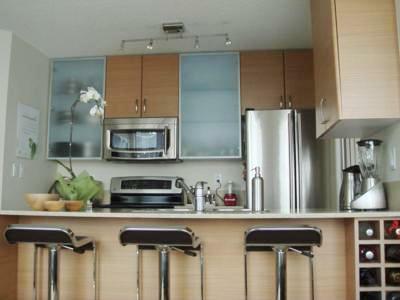 You will be delighted to make this 1 bedroom and den apartment a temporary home for vacation. 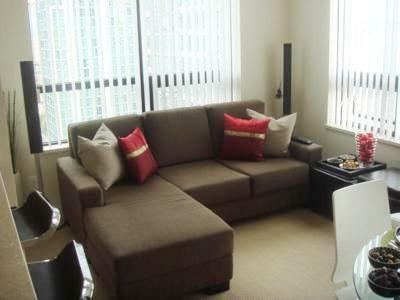 This is a fully furnished apartment at sought-after Yaletown Park II. 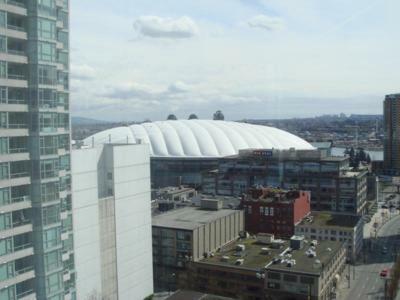 It boasts great views and is located less than a block to shopping and transit. 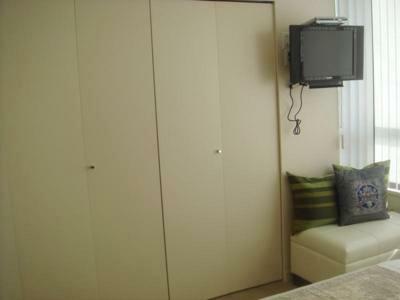 Utilities include local phone, high-speed internet, full cable including movie channels, gas, heat, water, and power. 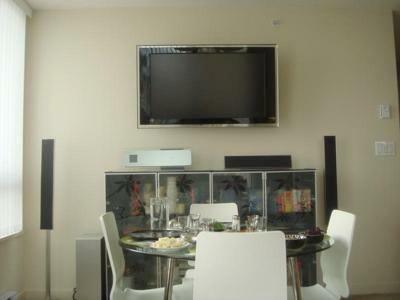 The place is fully furnished and equipped with SONY LCD TV and home theater system, en-suite laundry, top of the line stainless steel appliances such as a fridge, oven, microwave and dishwasher. Kitchen and bathroom have granite countertops and there is lots of en-suite storage. 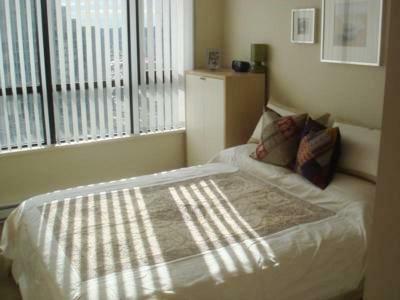 The apartment is furnished with a queen size Sealy mattress bed, linens for bath and bedroom, sofa, pots and pans, utensils, plates, iron, dryer, and much more. 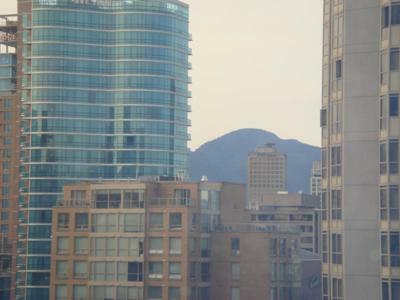 This stylish and luxury 1 bedroom and den apartment is in the desirable Yaletown Park building complex. Enjoy the yoga stretching area and a variety of exercise equipment as well as meeting/party rooms and guest suite within the building. A parking spot is available and included. 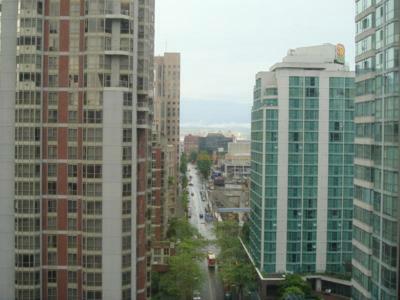 The location is Yaletown in Vancouver - with all the shops and restaurants at your door. 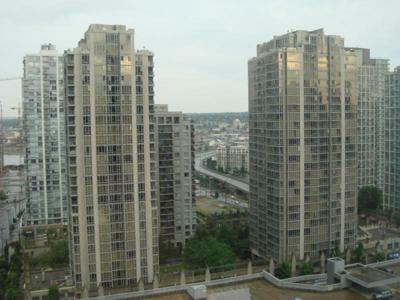 Yaletown is located on the False Creek's waters edge of downtown Vancouver. It is a trendy urban community comprising a mix of residential, office, restaurants, boutiques, cafes, microbreweries and galleries. Those embracing the outdoor lifestyle will love it. Yaletown's sea wall includes a mix of walkers, joggers, cyclists, and roller-bladers. The walk has many special features including extensive landscaping, lighting, artifacts, and green spaces. 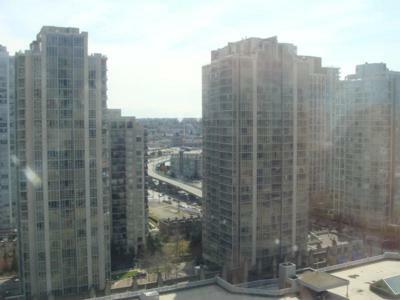 Head to the bottom of Davie Street to the waters of False Creek. There the 'Aqua Bus' leaves on a frequent schedule for destinations such as Granville Island, Stamps Landing and Science World.